Neil Gaiman has long been inspired by ancient mythology in creating the fantastical realms of his fiction. Now he turns his attention back to the source, presenting a bravura rendition of the great northern tales. 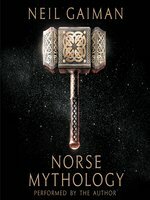 In Norse Mythology, Gaiman fashions primeval stories into a novelistic arc that begins with the genesis of the legendary nine worlds; delves into the exploits of the deities, dwarves, and giants; and culminates in Ragnarok, the twilight of the gods and the rebirth of a new time and people. Gaiman stays true to the myths while vividly reincarnating Odin, the highest of the high, wise, daring, and cunning; Thor, Odin's son, incredibly strong yet not the wisest of gods; and Loki, the son of a giant, a trickster and unsurpassable manipulator. From Gaiman's deft and witty prose emerges the gods with their fiercely competitive natures, their susceptibility to being duped and to dupe others, and their tendency to let passion ignite their actions, making these long-ago myths breathe pungent life again. Gaiman is a talented storyteller, as both writer and a narrator. In his latest audiobook, he turns both talents to an imaginative retelling of old Norse folklore. The figures in these myths are well-known to most people: Odin, the highest and oldest of the gods; his son Thor the Thunderer; and Loki, his conniving and treacherous blood brother. They, along with the other gods who inhabit Asgard, live in a universe of giants, elves, dwarves, and men. 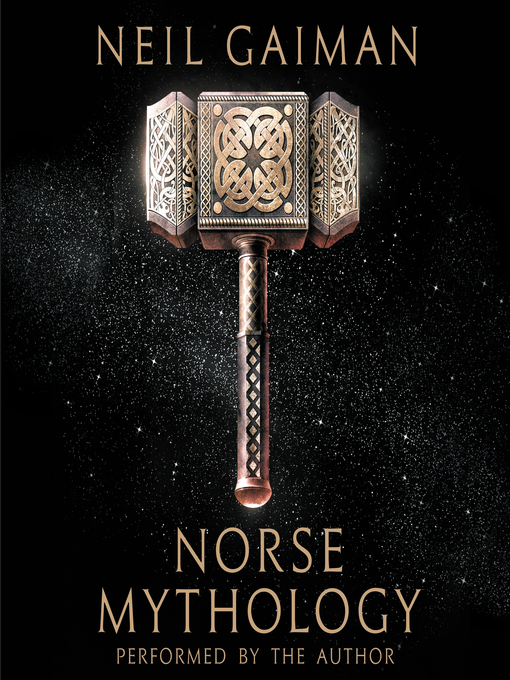 Gaiman chronicles the history of these gods and their varied adventures from the beginning of their creation to their ending at the final battle of Ragnarok, and on to their eventual renewal. Gaiman’s affection for these myths is evident throughout the audiobook. His gods bellow and rage and whine and battle and plot, but his reading is never over the top. His mellow British-accented voice keeps the pace consistent, hits all the right dramatic notes, and brings new life, for a new generation to discover, to these ancient stories. A Norton hardcover.